Ilina’s here today with a snowy card for you. This month’s challenge is layering, so I decided to do a image layering to reflect the theme. And while I was creating my scene I decided to turn it into a shaker card. I LOVE how it turned out. The background is sprayed with shimmer mist and I applies clear Wink of Stella on the images, but I couldn’t really capture it with my camera. To start I stamped my images onto white cardstock and then die cut them with the coordinating dies. For the snowman I first stamped it with Soft Sky shadow ink, then I colored each individual part with Winsor and Newton watercolor markers and stamped on top using the MISTI tool. For the background I used Navy card stock and stamped the background with Versamark and embossed with white embossing powder, then spritzed with sparkle shimmer spray. Using versamark pen, I colored some parts of the trees and then added some white puff embossing powder and heat set it. To finish up my card I cut the top frame from 110lb Neenah white card stock and cut it using the Hero Arts rectangle infinity dies. I used some grid paper to line up both layers. . I laid fir the large die, with the cutting side up, and then secured it with some washi or microspore tape, next I lined the smaller die and did the same. I arranged all elements and created the shaker card. I LOVE how it turned out. You can purchase all the Hero Arts supplies in the A2Z store, and use code “Ilina15” in order to receive 15% discount on your order of $25 and there are bunch of new inventory that was added yesterday, so go check it out! Categories: Handmade Cards | Tags: Hero Arts, Ilina Crouse, shaker card, Vintage Christmas Wishes | Permalink. Hi, friends, it’s Chark today. I’m so excited that Halloween is on its way that I had to share my Boo Stamp and Cut tag that I made. Love this new stamp and die set, as you can see, I only used the die and the word Boo and didn’t use the faces or ghost stamps. That’ll be another project! I die cut the large ghost from black cardstock, stamped the word “boo” on it in Unicorn White ink and added some craft foam (also die cut) to make a shaker card. The acetate was from an acetate notecard trimmed down and some of the sequins are actually nail art glitters from the dollar store. They came in cute little bottles and I knew they’d make good confetti for shaker cards…plus they were $1! I added bright green paper behind the tag and the striped ribbon to finish it off. This will be cute on a little Halloween gift bag I think. Hope you’ll join us for the new September Challenge, Make it a Tag, with your Hero Arts stamps, dies, stencils or digis (there are great Halloween digis in the store) because you could win a $25 gift code to the store! 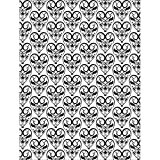 Categories: Challenges, Halloween, Handmade Cards | Tags: boo stamp and cut, die, shaker card, tag | Permalink. NOTICE: It looks like we’re having a bit of trouble with our InLinkz Link-up on our blog. It seems to have a mind of its own and disappeared from the side-bar. However, it found a home on the first day of March here. The DT are trying to put it back where it came from, but until you see it in the usual place on the top right side, you’ll be able to enter here. I’m here to share a lil’ shaker card using Hero Arts CL737 “LOL” Stamp set. Just love this set! Seems everyone has a cell phone these days…even taught my mom to text last year…fun experience! LOL! Got easier once she learned to use the space button. hehehe. Now I just get a bunch of emoji’s. LOL! I started by embossing the cell phone with black embossing powder and Versamark and heat setting. I then cut it out and cut out the window inside…as this will be for my shaker portion. Then using Hero Arts Ombre Inks I stamped sentiments and emoji’s from the set. Then I assembled my base card with DP as I wanted it then got to assembling the Shaker portion. I used foam tape to give it the dimension and keep the sequins inside. 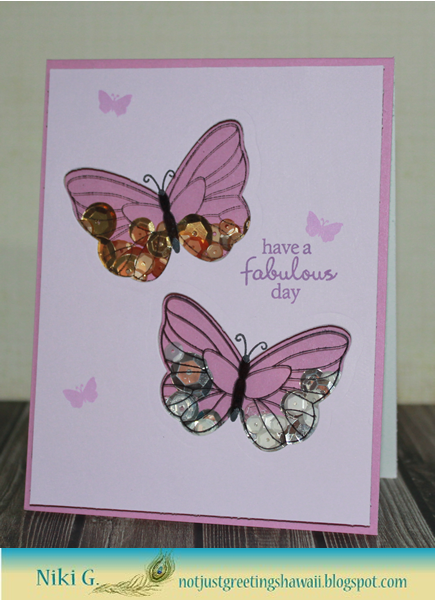 Categories: Handmade Cards | Tags: embossing, LOL!, ombre ink, shaker card | Permalink. Today one of our favorite people, Lisa Haines, has agreed to guest design for us. Lisa used the Lia Clear & Cut Out set, which is for sale in the store right now. It’s only $19.95 for both the stamps and the dies that match, and that is definitely a great deal. Who would’ve thought this little tiger could be so cute in blue and with a little glitter shirt? Lisa did, of course. And cute he is! For more information on how Lisa made this adorable card, head over to her blog, The Purple Place, today and leave her some love. Thanks for the inspiration, Lisa! And remember, today is the last day to enter the a2z Scrapbooking January challenge to try for the $25 gift certificate, so ink up those Hero Arts stamps, add your Fireworks of bling or glitter and link up your projects here. Categories: Challenges, Friendship Cards, Handmade Cards | Tags: Cards, Challenges, Hero Arts, Lia Griffith, Lisa Haines, shaker card | Permalink. NIki G. here to share another shaker card since this month’s challenge is all about them! Have you been enjoying all of the many different and fun ways to create a shaker? 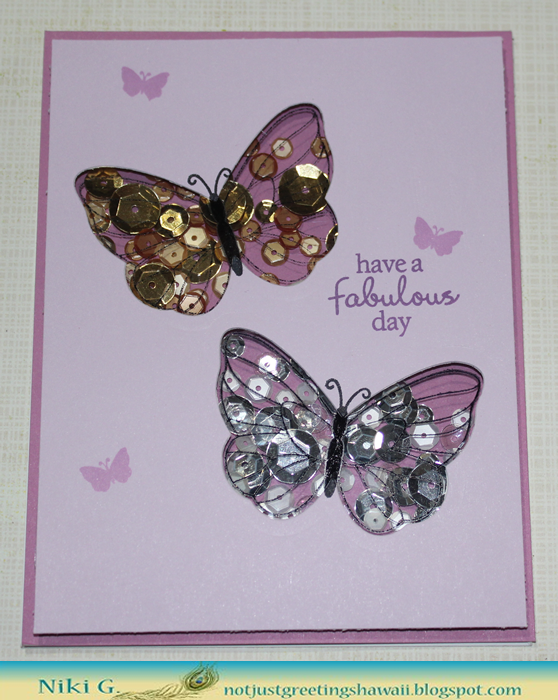 I know I have, so today’s card is using the super versatile Stamp and Cut Butterflies. can be used all year long! cardstock is that it coordinates so well with the Lilac to Grape Purple Ombre ink pad. detail of the butterflies on the acetate paper. Hero Arts Ombre ink in Lilac to Grape Purple. the individual butterflies so that one butterfly could have gold sequins and the other silver sequins. That’s it for me today! I hope you’ll join our challenge…there’s still some time left! Don’t forget there’s a chance to win $25 to the store…who doesn’t need a little retail therapy?! Categories: Shaker Cards | Tags: a2z Scrapbooking, die cuts, shaker card | Permalink. Any idea? Read on and you will find the answer. 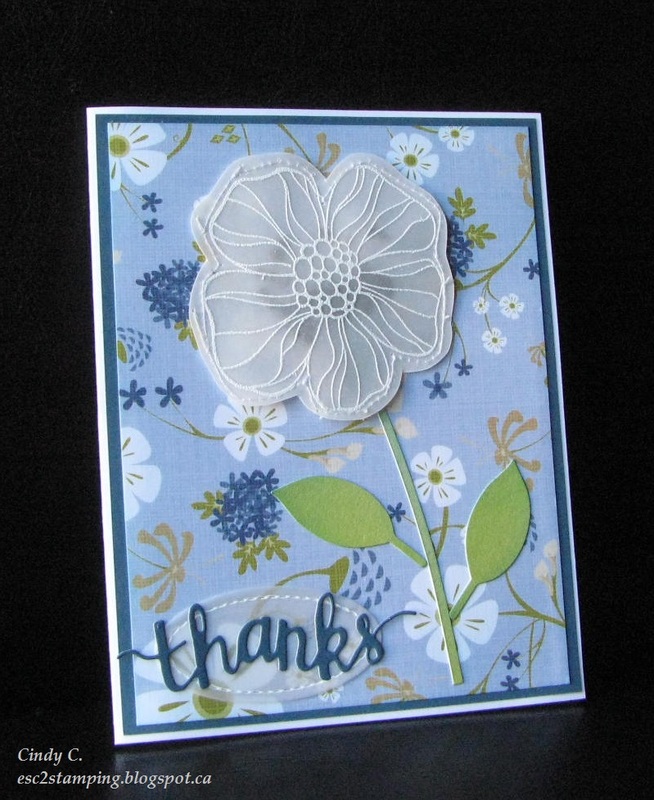 Stamp Hero Arts Small Striped Flower with Hero Arts Unicorn Pigment ink on vellum and heat emboss with white EP. Stamp once more. Stack the vellum piece matching the pattern with emboss piece on top, sew around flower leaving an opening about an inch long. Pry open the vellum pocket and fill with some Forget-Me-Not flower seeds. Sew up opening to seal. Trim the excess vellum keeping just the flower. This now becomes the shaker element. Die cut two leaves using the leaf die from the Hero Arts Frame Cut Scallop set from green CS. Use paper trimmer to cut thin strip for stem. Distress with distress ink Broken China. Die cut stitch label, use a white gen pen to trace over the stitched line. 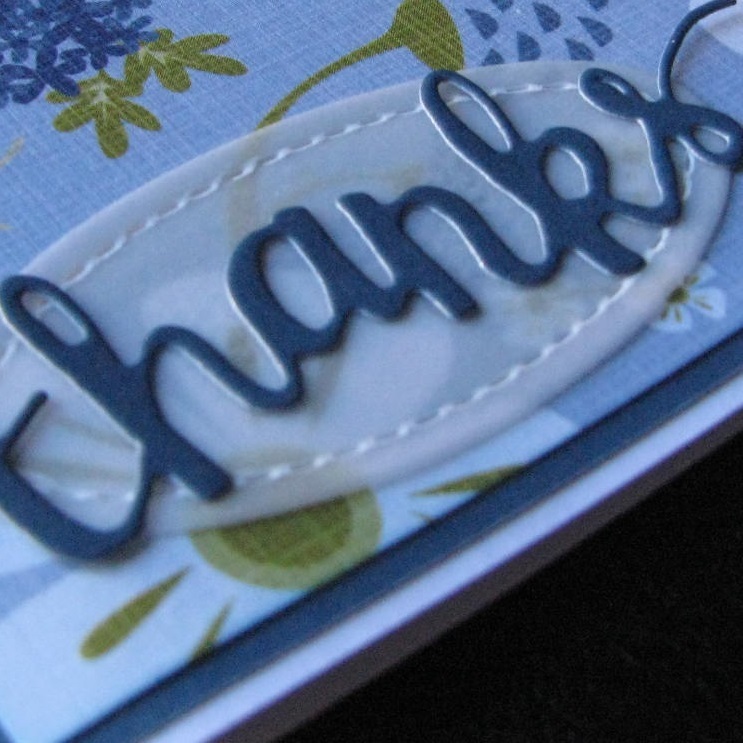 Die cut “thanks” using Hero Arts Stamp and Cut Thanks from deep blue CS. Cut two panels from deep blue CS and pattern paper. Assemble all elements as shown. 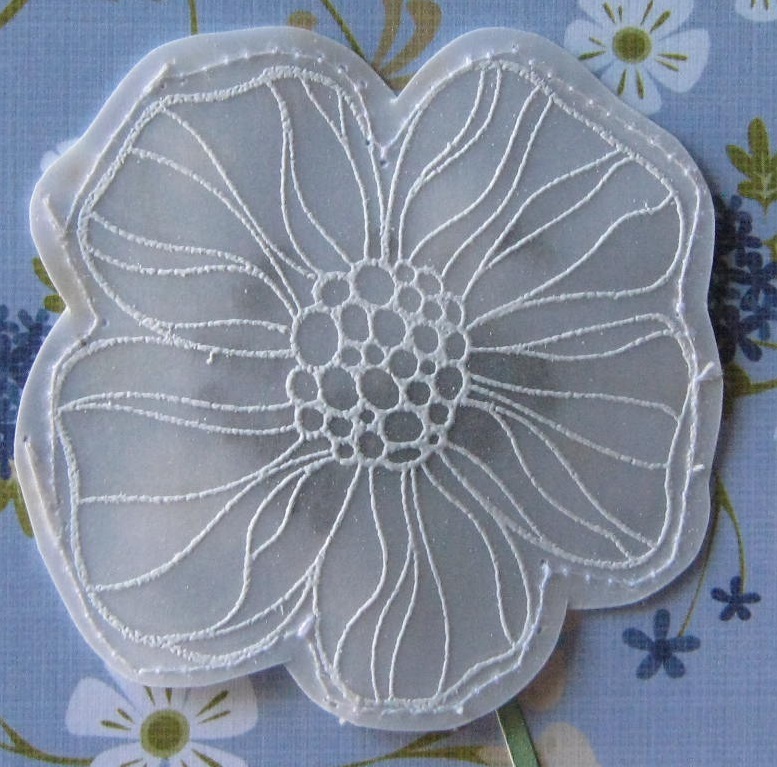 Add Wink of Stella Clear to vellum flower. Here are a few close up shots, unfortunately I couldn’t get the Wink of Stella to show up. It’s quite delicate. I assure you even you don’t see the flower seeds very clearly, I hear the ‘chic chic’ sound when I shake it! That’s part of shaker fun right? 🙂 I hope I’ve inspired you to come play the September challenge – Shake It Up with us. If you need some supplies for you project visit the a2z store, and while you’re there you’d want to check out the Sale section, lots of great deals there. Feel free to use promote code Cindy15 at check out to obtain 15% off any purchase of $25 or more (shipping not included). Categories: Shaker Cards | Tags: Flowers, shaker card, stitched label, Thank You, Vellum | Permalink. Hey everyone – it’s Jen from Caffeinated Papercuts, and I still have coffee on the brain! 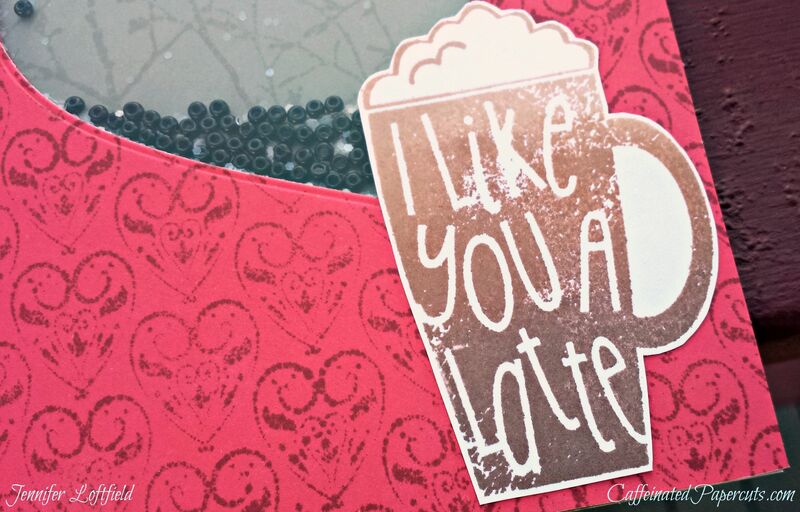 The Fall Coffee Lover’s Blog Hop starts next week and rumor has it a2z Scrapbooking is one of the new Super Sponsors…but you didn’t hear it from me…so today I have a coffee shaker card to help you get ready for the hop and join in the September Shaker Card Challenge! I just loooove that coffee stamp set! And yes, I totally used my brown ombre ink on the mug again, as it is just awesome. I also made my own background papers again; the Punch note card is stamped with Cup O’Joe and the older Basic Grey Amore background stamp. The Wet Cement note card that forms the base card I stamped with Wet Cement ink and the gorgeous new Branches Bold Prints background stamp. 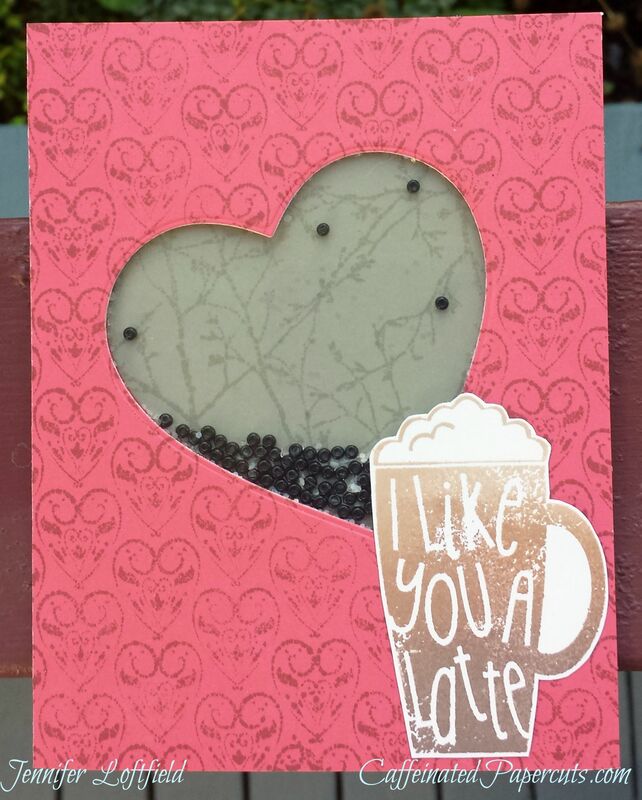 To give my card front lift I used some Fun Foam that I also die cut with the heart to make my shaker container. Overall pretty quick & easy! 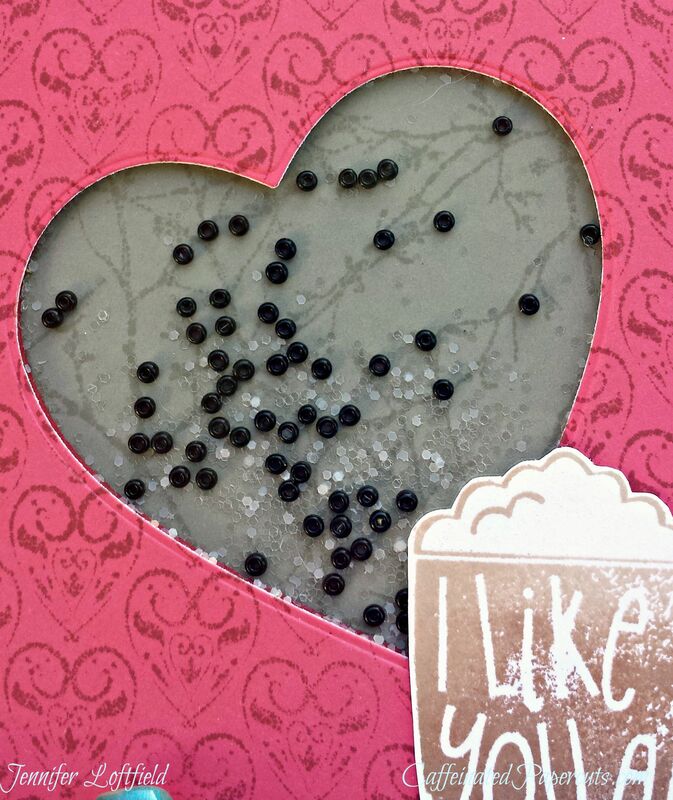 I used some chunky glitter and deep brown seed beads for my shaker filling – looks like sprinkles on top of a latte! Now’s the time to stock up on your supplies for our Shaker Challenge and the Coffee Lover’s Blog Hop. Be sure to request any out-of-stock items in the store and take 15% off your order of $25 or more with coupon code JENNIFER15. 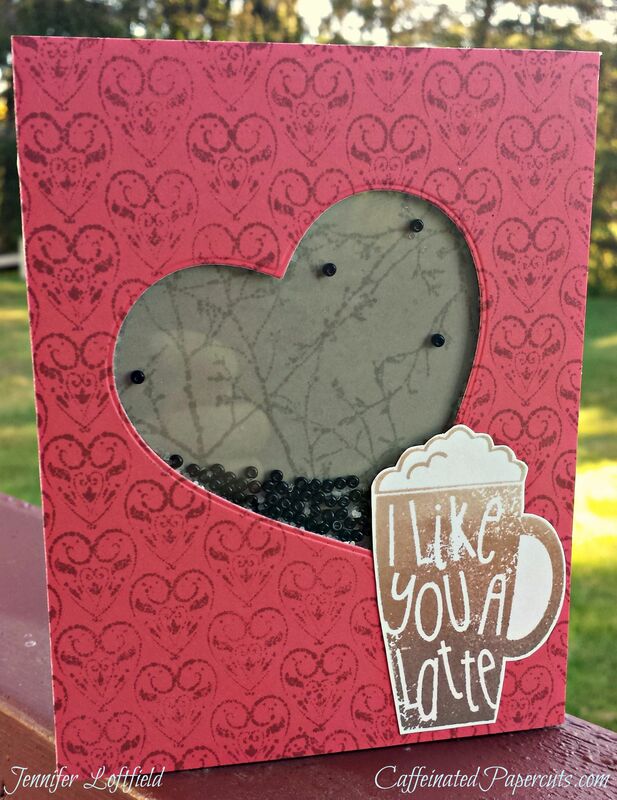 Categories: Handmade Cards, Shaker Cards | Tags: background stamp, basic grey amore, branches bold prints, brown ombre ink, coffee stamps, Jennifer, shaker card | Permalink.